What are the Top Best Hotels and Resorts on Boracay Island this 2019? This accommodation travel guide provides useful information, reviews, and recommendations on Hotels and Resorts, Cheap Lodges, Inns, Rooms, Hostels and Pension Houses on Boracay Island. Soon, this will also be updated with more accommodation options in Boracay such as Homestays and Transient Houses. Boracay is definitely one of the best islands in the world. If you're searching the best hotels and resorts on Boracay Island, you've come to right place! To make it easier for you, I'm listing my top picks for the best hotels and resorts in Boracay that I have personally stayed at. This list ranges from budget to mid-level to high-end luxury resorts, hotels and hostels that you may consider on your next visit to Boracay. Hotels and Resorts, Cheap Lodges, Inns, Rooms, Hostels and Pension Houses on Boracay Island. In no particular order. MY REVIEW: We had a relaxing and wonderfully memorable stay at Henann Regency Resort and Spa Boracay. The resort's warm and refreshing room interiors, highly-commendable staff, family-friendly atmosphere and great-tasting food will certainly make your Boracay getaway truly memorable and one-of-a-kind experience. 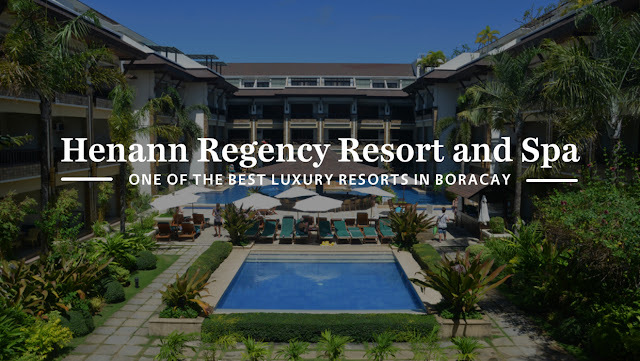 If you want to experience warm Filipino hospitality that looks after your comfort and satisfaction throughout your stay, Henann Regency Resort and Spa is definitely an excellent choice for a place to stay in Boracay with your family, friends or special someone. Highly recommended! (Full review of Henann Lagoon Resort Boracay). BOOK ONLINE: They offer several rooms types that cater to the diverse needs of its valued guests. Occupancy is dependent on the room type booked. Standard check-in time is at 2:00 PM and check-out time is 12:00 NN. For the best room rate deals, you may book online via Agoda.com by booking HERE. 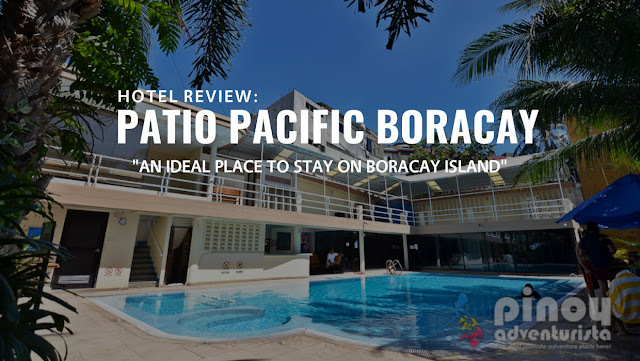 MY REVIEW: A triple AAA-rated resort strategically located at Station 1 and built conveniently near other establishments, Patio Pacific Boracay is just a 5 minutes’ walk to the pristine Boracay white beach. If you are looking for a hotel that has a best spot and is near the bay walk, then you should consider Patio Pacific Boracay. The resort is non-beachfront but it is near the beach and only a few more blocks to D’Mall where you can find various restaurants and food kiosks to choose from and shops to enjoy. Because of its convenient location, it became a popular choice both for the local and foreign tourists who want to enjoy the beauty of the island. Overall, we had a comfortable and memorable stay at Patio Pacific Boracay. It is an ideal resort in Boracay for couples, families and group of friends wanting to have an awesome Boracay getaway! Highly recommended! (Full review of Patio Pacific Boracay). BOOK ONLINE: Patio Pacific Boracay offers several room types that cater to the diverse and varying need of its valued guests. Occupancy is dependent on the room type booked. Standard check-in time is at 2:00 PM and check-out time is 12:00 NN. For the best room rates, promos and hotel deals, I highly recommend that you book online via Agoda.com by booking HERE. 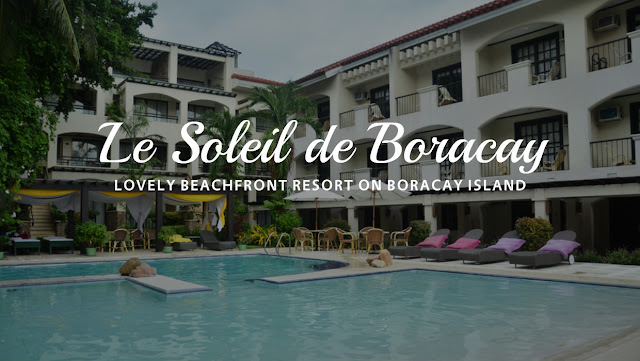 MY REVIEW: We had a memorable and comfortable stay at Le Soleil de Boracay. With the resort's superb amenities, quality service, proximity to restaurants and other Boracay hot spots, it is definitely one of the finest resorts in Boracay. Their room is exceptionally good, the facilities and amenities are superb and it is indeed a family-friendly resort and an ideal place to stay for couples and group of friends. I recommend it for you to stay in when spending a holiday in Boracay. (Full review of Henann Lagoon Resort Boracay). BOOK ONLINE: They offer packaged tour promos with room accommodation and several rooms types that cater to the diverse needs of its valued guests. Occupancy is dependent on the room type booked. Standard check-in time is at 2:00 PM and check-out time is 12:00 NN. For the best room rate deals, you may book online via Agoda.com by booking HERE. 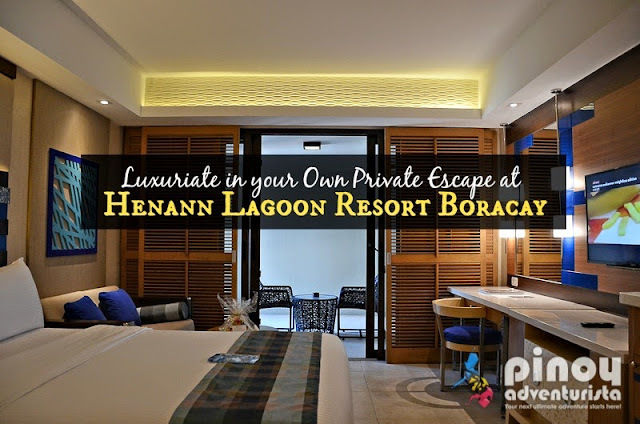 "Luxuriate in your Own Private Escape at Henann Lagoon Resort Boracay"
MY REVIEW: We had a very comfortable and memorable stay at Henann Lagoon Resort Boracay. With its top-notch amenities, highly commendable customer service and good food, Henann Lagoon Resort is definitely one of the best resorts in Boracay! Splurge and make your Boracay adventure a memorable and luxurious one! I highly recommend Henann Lagoon Resort and I'm giving it my 2 thumbs up! (Full review of Henann Lagoon Resort Boracay). "Great Location, Exceptional Rooms and Excellent Customer Service!" BOOK ONLINE: Standard check-in time is at 2:00 PM and check-out time is 12:00 noon. They have 2 room types, Essential (Superior) and Exceptional (Premier) Rooms. Guests may choose either two (2) twin sized beds, one (1) queen sized bed, or one (1) king sized bed configuration. For the best room rate deals, you may book online via Agoda.com by booking HERE. "Family-friendly and affordable hotel in Boracay"
BOOK ONLINE: They have rooms for small to big groups - Superior, Deluxe and Family Rooms. Standard check-in time is at 2:00 PM and check-out time is 12:00 noon. For the best room rate deals, you may book online via Agoda.com by booking HERE. Get 15% discount on your room rate for a minimum 2 nights stay. 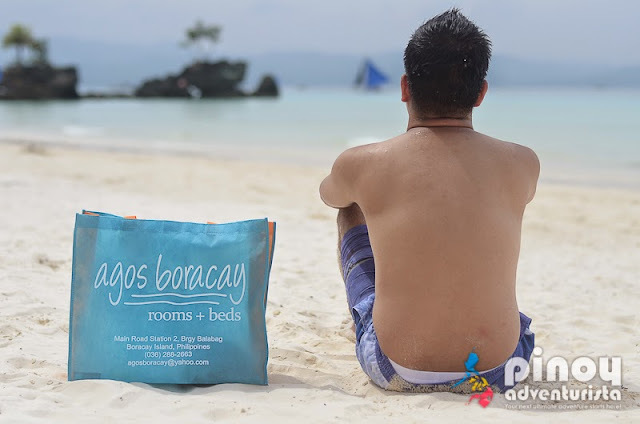 Just use the promo code PinoyAdventurista15Off when booking your room at Agos Boracay Rooms + Beds. BOOK NOW! MY REVIEW: During our Boracay trip last March 2016, we stayed in one of the best hostels on Boracay island. 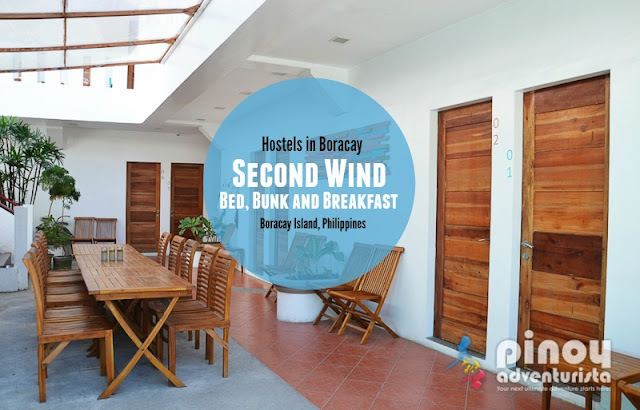 Joining the ranks of the recent rise of boutique hostels on Boracay Island, Second Wind Bed, Bunk and Breakfast is a great option if you're looking for a place to stay that will assure you of clean, secured, decent accommodation and good value for money. Rates start at PHP 700.00 pesos per person for the 8-bed Mixed Dorm Rooms and PHP 1,050.00 pesos per person for the Twin and Double Private Rooms. Great location, affordable room rates and superb customer service are just some of the reasons why you should consider staying at Second Wind BBB on your next Boracay adventure. We were really happy with this hostel and it's a good cheap option on Boracay island. (Full review of Second Wind Bed, Bunk and Breakfast Boracay). BOOK ONLINE: Rates start at PHP 700.00 pesos per person for the 8-bed Mixed Dorm Rooms and PHP 1,050.00 pesos per person for the Twin and Double Private Rooms. For the best room rate deals, you may book online via Agoda.com by booking HERE. Check out the many other top-rated hotels and resorts in Boracay ranging from cheap affordable hotels to luxurious 5-star quality hotels and resorts. Get as much as 40-50% discount on room rates when you book in advance online! 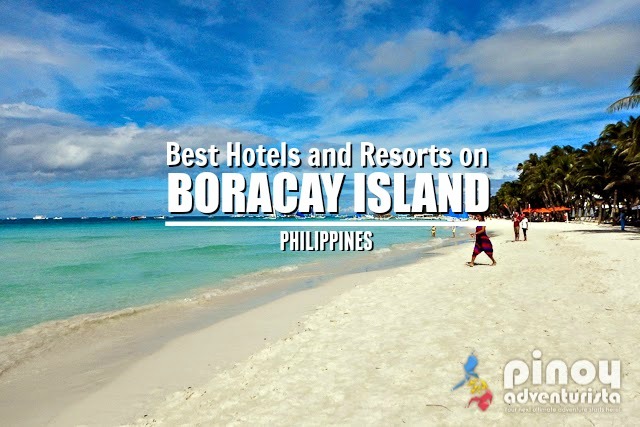 I listed here some of the top rated Hotels and Resorts in Boracay as listed by Tripadvisor. I also included here some guests' comments for your reference. This could help you decide whether to book or not at these hotels. "My teenage son and I spent a three-night weekend here recently and are determined to come back again with the rest of the family. We had a weekend to remember all our lives. First, the setting. A low-rise luxury resort blending into its surroundings. The resort is a compact spread of buildings no higher than three storeys, with small roads connecting the whole. To travel from A to B there are chauffeured electric buggies to run you around the place, or once you learn a mental map of the resort, it's just as easy to walk from place to place, it's that small. Our room was certainly not small! we had an enormous terrace looking onto the sea, and the bathroom was everything you could ask for, from two sinks to rain shower. We felt like we were enjoying unpretentious, low-key luxury, in tune with the Shangri-La's low-impact regard for the surrounding nature. Sheila, the charming and expert ecotourism guide, explained the Shang's view on fitting into its environment from her perspective: there were plans to build a series of luxury villas on one beachfront hillside until executives learned this spot was a home for an endangered bat species. The villas weren't built. Instead, Sheila conducts a must-not-miss sunset viewing of bats' daily migration from the island of Boracay to the mainland at Malay. This visit combines a stunning sunset with a bit of rare animal viewing. Utterly charming. Resident Manager Russell Dray, in charge of the entire resort as Resident Manager, explained to my son and me with real passion that he is working hard to run the Shangri-La resort in a sustainable way, not least by reducing waste by abandoning plastic bottles for more permanent containers for drinking water and bathroom lotions like shampoo and conditioner. So no, you can't pinch the shampoo bottle from this Shangri-La for your future use, I'm sad to say! Most staff at this hotel were locals from Boracay or nearby Malay, like waiters Laudito and Bryan and Ronnel. They are absolutely friendly people with a genuine drive to make the entire Shangri-La experience perfect. I have to credit the Shang for hiring with acute discretion for hard-working and outgoing people. Then this hotel company puts these wonderful folks through what must be a terrific training programme. If I were running the Ritz-Carlton I would pinch staff from Shangri-La! During our weekend, my son and I did a fair amount of scuba diving, because the coral offshore was so attractive. We just kept coming back, mostly in the company of dive instructor Steven McArthur who was just so chill 10 meters down that it was impossible for me, a new diver, to feel anxious or tense. If you're looking to get your scuba certificate while at the Shangri-La in Boracay, look up Steven and tell him I said hi. One high point of our stay was undeniably our visit to the Italian restaurant run by Chef Omar, a most charming Italian who has worked in London, Hong Kong and Shanghai before blessing the Shangri-La with his kitchen in Boracay. We really had no expectation from this restaurant, though our friendly and attentive waiter Alexa kept a constant eye on our needs and wants. So when our starter of tuna carpaccio arrived, I was expecting your usual run-of-the-mill raw tuna dish. Instead we were given a stunning "sandwich" of tuna poised on its edge in a tall narrow letter A and surrounded by a bright green spongy thing which turned out to be a sublime expression of a common salad herb. Our main courses were equally stunning and we had to come back the next night for another round of different but equally delicious and beautiful dishes. I fear Chef Omar will soon be heading off to the big city where there will be more demand for his fabulous creations than a low-population tropical resort, even one as great as this, can deliver. I can't wait to return to the Shangri-La Boracay with the rest of the family. It's far from cheap but it's money that feels so very well spent." "Coast Boracay is frankly one of the best hotels I've ever been to. Admittedly, I haven't been to a lot yet I can definitely say that this is one of the best! We were staying in La Carmela de Boracay and was slated to go to Boracay Travelodge after 3 days. But a quick ocular inspection of Coast Boracay's amenities had us changing our plans impulsively. We decided to stay at Coast Boracay for a night. We checked out from La Carmela at 8 in the morning of June 27 and two staff from Coast Boracay was already there to assist us on our hotel transfer in a van. Upon reaching the hotel, we were offered wet hand towels to refresh ourselves and lemon and cucumber drink to complete it. I definitely loved that. Being a fan of lemon and cucumber, it was such a pleasant suprise to be greeted with that. Every personnel of Coast Boracay was very pleasant. They invite you warmly to their place with big smiles and polite greetings! We were assigned premiere rooms at the 4th floor and we absolutely loved it. I loved the minimalist style of the whole hotel and our rooms were so spacious. They had smart TVs and free wifi and best of all, they had a really, really spacious bathroom. The vanity area and the sink was very huge and they had lights that didn't blind us. My friend and I made the most of the vanity table. We were so tired from our island hopping and singing karaoke with the smart tv and her bluetooth mic so we decided to have some beauty regimen. We put on clay packs and the turned the sink into basin. The soft beds and softer comforters made our sleep very very comfortable. They had two pools, one by the bar and one long one. I loved both because the water was very warm and relaxing. While we love the beach, we also enjoyed our solitude in the pool. The place was very eye catching like it was straight out of a photoshoot studio. It was picture perfect. I also loved Chacha's, the cafe attached to the hotel. They served lots of food for our breakfast and we definitely enjoyed each bite. They refilled our water quite often, which do not happen in many places in Boracay. They served variety of food for breakfast, including ube champorado and beef pho. You could also ask for a customized omelette! In addition, they're uniforms were eye catching. The receptionists had 'You talk, we listen' while their housekeeping team had 'Neat Freak' and it invokes the fun in every way. Sadly, we couldn't stay long so we had to go to our next hotel. Fortunately, they allowed us to arrange our airport transfer with them even if we were not staying at Coast at the last day. We only had to pay for an additional 300 pesos for the bus to Kalibo airport. They had a private speedboat and van to the port and were very helpful with out baggage until we reach the airport. Plus, they gave us a souvenir of our own. A photo taken by a staff was printed and given to us upon our official exit to their hotel. It was amazing! 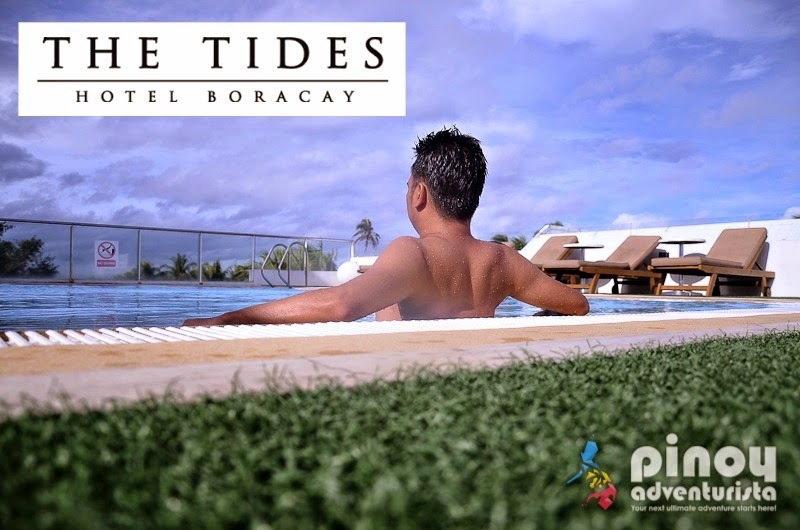 "We are glad that we chose this hotel for our stay in Boracay. Location is perfect, room is big and looks cozy. Me and my husband felt so spoiled by the very warm hospitality of all the staff. From the front desk down to the guards by the beach, they are all friendly and always happy to serve. Breakfast is also great. Lots of choices from the menu plus the buffet that never fail to surprise us with different mains every morning. We enjoyed staying out every night for at least 2hrs by the beach, lying in one of the loungers while listening to mellow live musics played every night. The sound of the water blended with good music and the breeze of fresh air touching our skin is heaven. 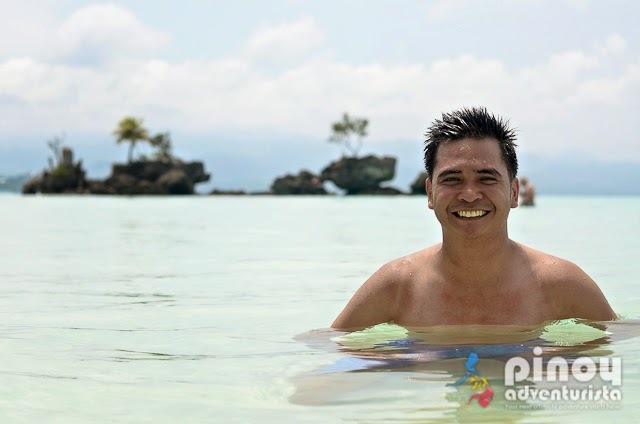 "When we say Boaracay, we imagine white sand, pristine waters and endless crowd. What a great surprise it is to discover that an exclusive village-resort that is Newcoast is now here to cater for those who prefer quiet time than the noisy crowd. From the sloping ridge as you enter the property, your first glance of Savoy is breathtaking; with the mountains and ocean as backdrop. The private beach makes you feel like you own the place, it is awesome! Spent hours everyday there. You can read more guests' comments at Tripadvisor's website.